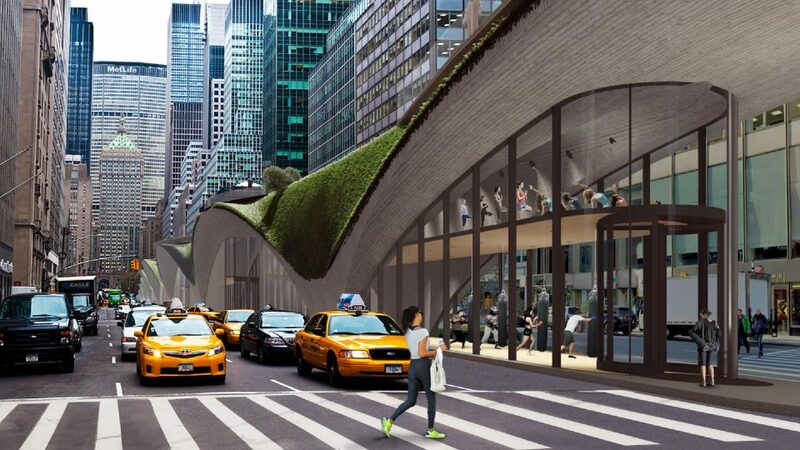 Central yet unused, the central median of New York City’s Park Avenue is the subject of a series of spectacular and speculative redesigns — from rock-climbing walls and waterfalls to kayak commuter lanes — thanks to a creative ideas competition. 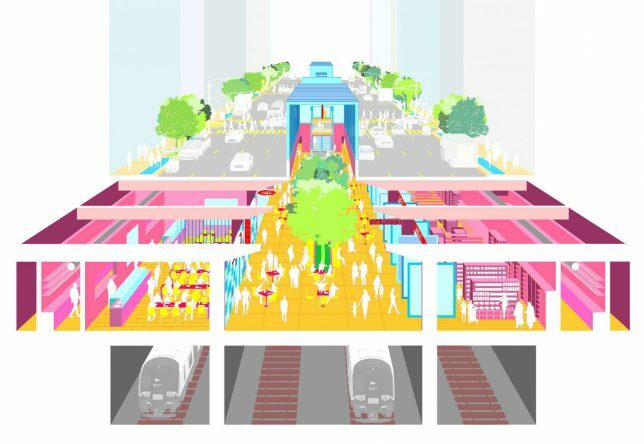 Participating architects, designers and planners were given free reign to re-imagine this major thoroughfare spanning across Manhattan, and took that liberty to heart. Their pitches for Beyond the Centerline, organized by an NYC real estate company, are largely quite extreme. Among other ideas, short-listed contestants offered up images of ice-skating rinks, elevated basketball courts, yoga studies and Modernist art exhibition spaces. Some are fun and others functional, offering alternative ways to commute by boat, for instance. 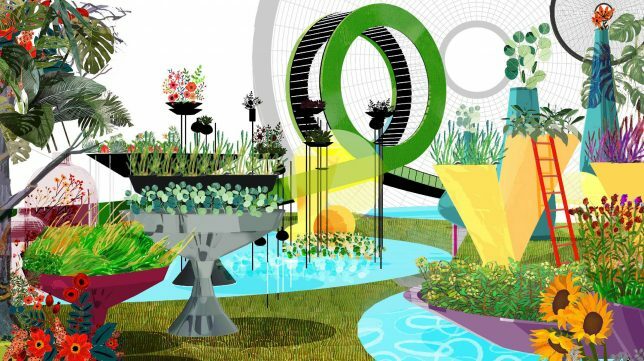 Some are focused on greening the dense city, creating space for landscapes and natural environments to break up the loud and busy car-filled route. A few even suggest incorporating forest habitats for urban wildlife. 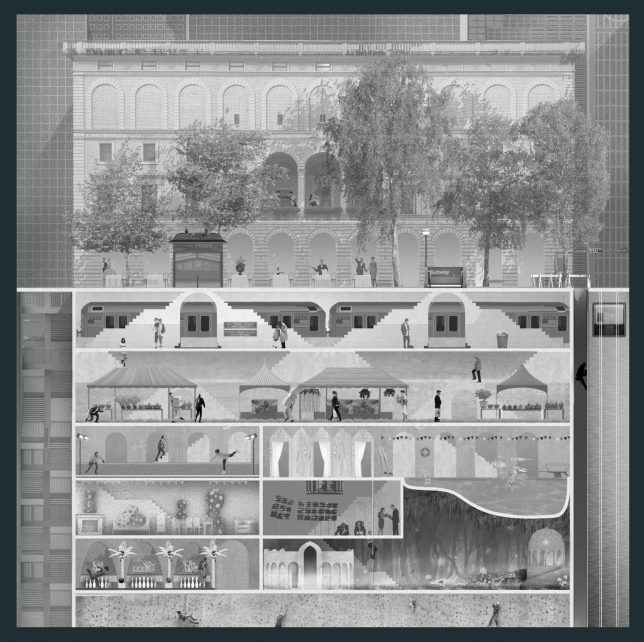 Many of the proposals are vertical in nature, seeking to maximize the small footprint offered by introducing shops, cafes, markets, theaters and other above-ground and underground amenities. 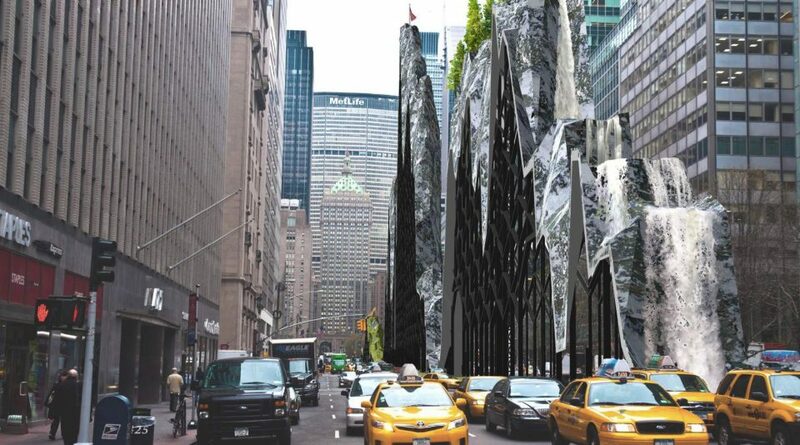 “While Park Avenue, with its median plantings and periodic art installations, remains one of the world’s most iconic commercial boulevards, I have long believed that we can and must be far more imaginative in how we encounter and utilize such a precious urban commodity,” said the contest creators. “Our hope is that this contest and these proposals will spark a real conversation about what can be done to activate Park Avenue’s center line for a new generation of New Yorkers.” Winners will receive up to $25,000 for their creative work, and while it may never be built, hopefully it can at least get people thinking about how to develop underutilized space in cities.